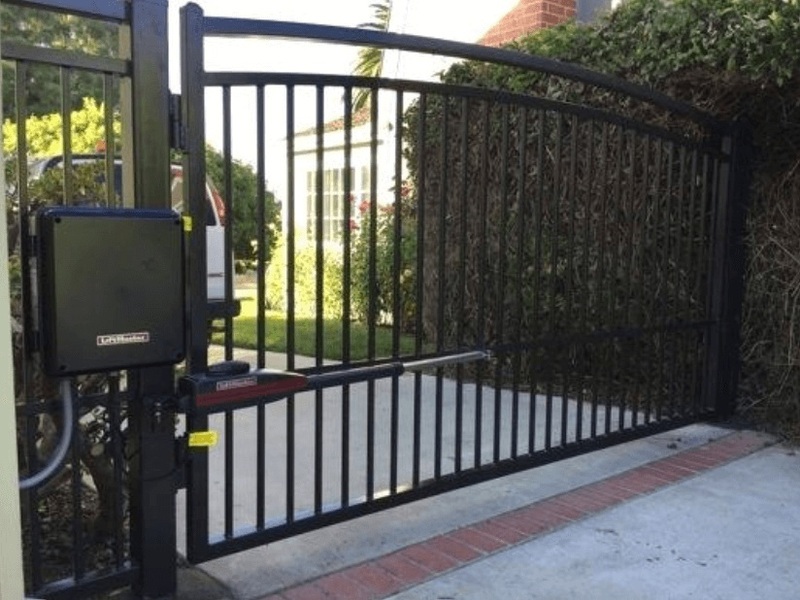 Los Angeles Fence Builders has installed hundreds of automatic electric motors all over Los Angeles Ca, for both residential driveway gates and commercial driveway gates. We are experts in in electrical motor installation and helping you configure the best way to add and place your driveway gate. Adding a motor to your gate can save you time and the struggle of getting out of your car both entering and exiting your gate. We install sensor activated, remote controlled and keypad entry. This gives you the option for public, private or authorized use of your gate. We can also install a video keypad entry so you can see you is requesting access to your gate. This is most convenient for long driveways in private homes or high end living facilities. 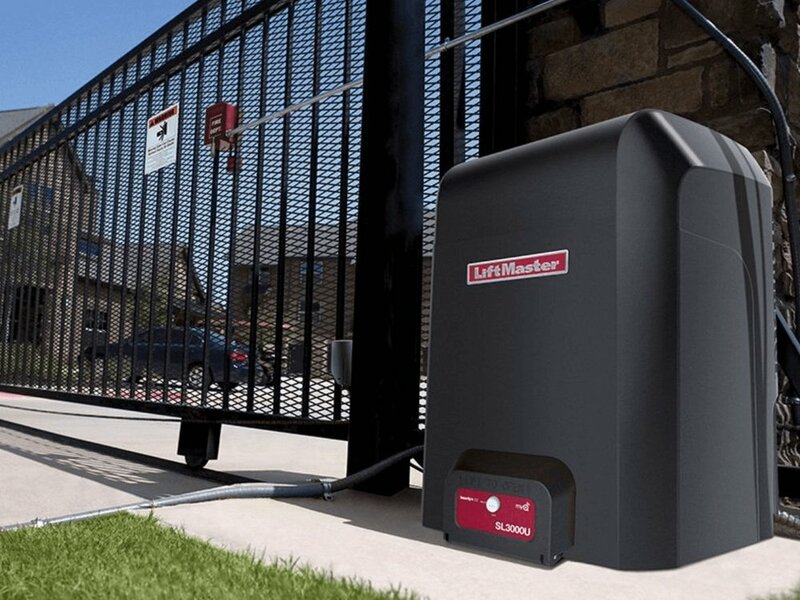 We use LiftMaster gate openers and driveway gate motors for all of our gate motor installations (unless specifically requested) because LiftMaster is the leading manufacture of driveway gate openers. LiftMaster is known worldwide for gate opener standards for excellence and quality. We know our clients deserve not just the best installations but the best quality motor to insure that it will last for a long time. Our gate openers offer you safety, security and convenience at an affordable cost. LiftMaster also comes with a 5 year commercial warranty and a 7 year residential warranty. This gives you the peace of mind knowing that you won’t have to fork over thousands of dollars to replace or repair your motor. We also offer solar powered options with can give you a 30% tax credit. The remote range is twice as long as standard remotes so you don’t have to wait at the gate when entering or exiting your property or business. 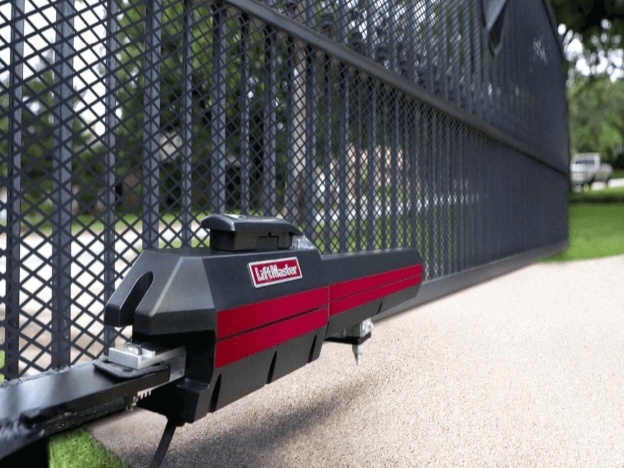 When it comes to automatic gate openers you want a reliable motor with and experienced installation. No questions asked, we provide quality installation every time. Keypad and remote control entries make your life much easier. Keypad entry allows even visitors without a remote to access entry to your property with the access of your code. Remotes allow you to open your gate before arriving to it so you don’t have to stop and wait during the opening process. These features are great to have an make life that much easier. 2 Remotes come standard for any automatic gate opener we install, both residential and commercial. Keypad entry installation is not included but a small fee for the convenience and ease if offers to you and your guests/employees. If you are interested in having a gate installed give us a call or fill out a free estimate form at the bottom of this page.